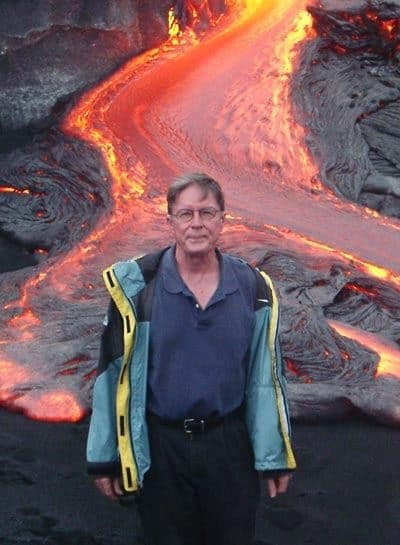 Irving Jenkins was born in Hilo, Hawaii, in 1942, grew up on the island of Kauai and now lives on Oahu. In 1967 he received a bachelor of fine arts degree in painting from the University of Hawaii at Manoa. He has written two previous books, HAWAIIAN FURNITURE AND HAWAII’S CABINETMAKERS 1820-1940 and THE HAWAIIAN CALABASH. HAWAIIAN FURNITURE AND HAWAII’S CABINETMAKERS 1820-1940 was awarded the Charles F. Montgomery Award from the New York Decorative Arts Society of the Society of Architectural Historians, for the most outstanding first work in the field. THE HAWAIIAN CALABASH was the winner of the prestigious Hawaii Publisher Association Pa‘i Award.